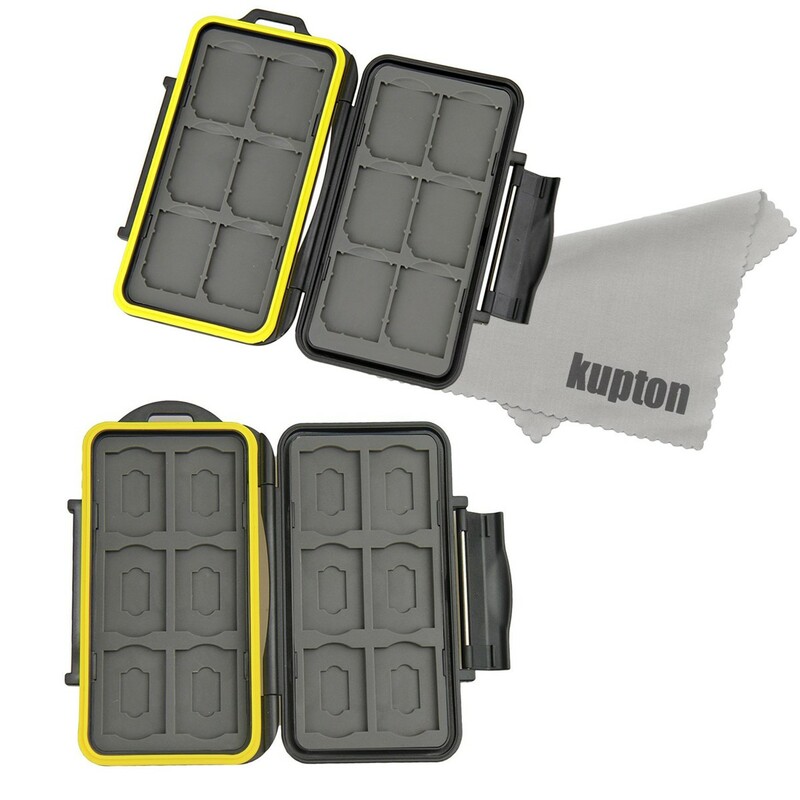 Memory card case kit includes two kinds of 12 slots and 24 slots cases, 12-slot case can contain up to 12 pieces of SDHC / SDXC card / micro SD card with adapter, 24-slot case can contain up to 12 pieces of SDHC / SDXC card and 12 micro SD cards with adapter. Rugged, water-resistant and protection box. Made of polycarbonate and extremely shock resistant. Effectively protect against damage from water, sand, dust, etc.